The Adventures & Outings Program (A&O) offers a wide array of outdoor recreation activities, group adventure trips, and urban outings that appeal to a variety of ages, interests and abilities. 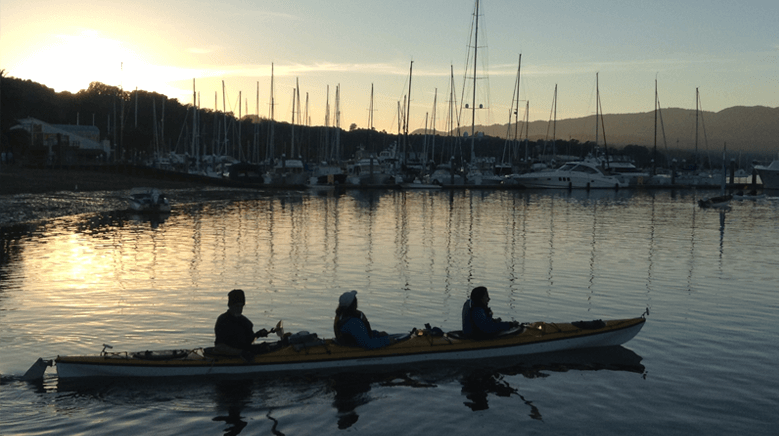 Whether it’s sailing on the bay, skiing in Tahoe, hiking Mount Tam, watching the elephant seals at Ano Nuevo, picnicking in Tilden park, or a taking in a play at the Orpheum Theater, this program has something for everyone. Check out the Calendar for the latest list of upcoming trips and activities. A&O is one of BORP’s most popular programs. Activities take place nearly every weekend on a year-round basis. The program is designed to include families and friends. It creates new friendships and builds social connections. It connects people to nature and to their communities. It challenges participants to try new things. It enables them to do things they never though possible. BORP trips operate on two basic tenets. 1) A successful trip requires group participation. 2) A little dirt is good for the soul. The line between volunteer and participant is often blurred, as we all share responsibility for the group’s well-being. Every person is responsible for setting their own boundaries and limitations. Safety is our first priority on all BORP outings and events. We believe that everyone should have access to the unique challenges that outdoor recreation provides. Families and friends are not merely welcome-they are a major aspect of all of our trips. We provide the infrastructure and organization, you provide the curiosity and desire – just let us know who is coming and the nature of their needs. We make every effort to accommodate needs, including transportation and volunteer support. BORP plans trips for a wide spectrum of abilities, including wheelchair users and people with visual impairments or difficulty walking. BORP does not, however, provide attendant care on trips–but will offer discounted trip fees for caregivers when possible. In 2014, with funding from the California State Coastal Conservancy, BORP launched a pilot program called the Disability Outdoor Coastal Access Project to enable people with physical disabilities to enjoy adaptive cycling on Bay Coastal trails. 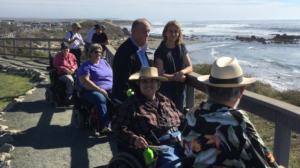 In 2015 the Project was expanded to include a full menu of walking/hiking (wheelchair) trips to make it possible for people with physical disabilities to experience coastal resources and recreation similar to those available to people without disabilities. The project has been extremely successful and BORP is committed to its continuation. Click here to learn more and see upcoming coastal trips. Call BORP Adventures and Outings coordinator Lori Gray AFTER 10AM at 510-843-4398 to check availability. 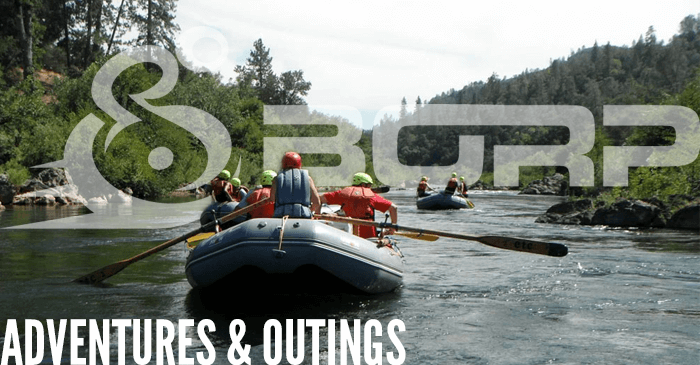 Many BORP trips fill quickly, so we urge you to register early. If space is available, submit your payment. Most Adventures and Outings activities cost between $10 and $20*. Please see the specific activity for exact cost. * PAYMENT: We accept checks, cash, money orders for advanced registration. At this time, we are not able to accept credit cards. Your registration is confirmed upon receipt of payment. Please make checks payable to BORP and note the trip name and date of the activity on your check. BORP trips are possible because of dedicated people who generously donate their time and energy. You too can be one of these lovely people. 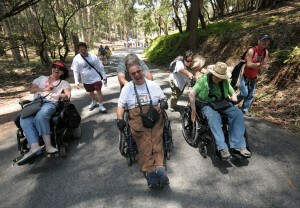 Sighted guides are especially needed for hikes and riding tandem bikes. Click here to fill out a volunteer interest form. We want you to participate in BORP outings. Call us and we can talk about payment plans or scholarships. FOR CANCELLATIONS & REFUNDS FOR OUTINGS & ADVENTURE PROGRAMS CALL LORI GRAY. Full refunds are given ONLY if we must cancel an outing. In the event of illness or other emergencies, please call. Credit may be possible. Refer to the Calendar for this month’s activities. How was your last trip to the California Coast?